Release your stress and tension with a muscle-melting massage from Polished Outlook day spa. Whether you prefer the gentle pressure of a Swedish massage or the structural release of Deep Tissue pressure, Polished Outlook's massage treatments and packages are always customized to meet your individual needs. Swedish massage also stimulates the skin and the nervous system and soothes the nerves themselves at the same time. It reduces stress, both emotional and physical, and is suggested in a regular program for stress management. Choose the aromatherapy essential oil that's right for you. Options include "Revive", "De-stress" and "Relax". 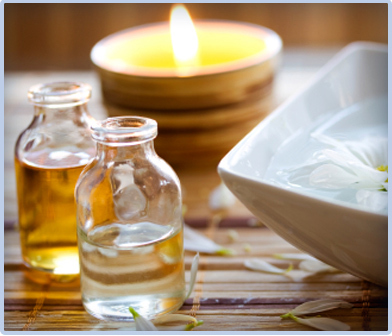 The essential oil you select will be used in a deeply relaxing Swedish massage. Find the aroma that's meant for you! This exotic treatment involves the placement of heated polished lava rocks on pressure points. The stones are used to bring relief to tense and sore muscles. As these hot stones glide over the muscles, tension diminish, and stress gently melts away. Penetrating heat radiates deep into muscles providing relaxation while addressing mental, physical, and spiritual well-being. Because the feet and hands contain points or reflexes that are a map of the entire body, reflexology, an ancient, holistic technique, will help your body achieve a balance of all its systems. By applying pressure to the reflexes on your feet or hands, reflexology will help you to release stress and tension, improve your circulation, and promote a sense of well being. In today's stressful world, it is essential that we each find a way to strenghten ourselves and find deep, healthful relaxation. 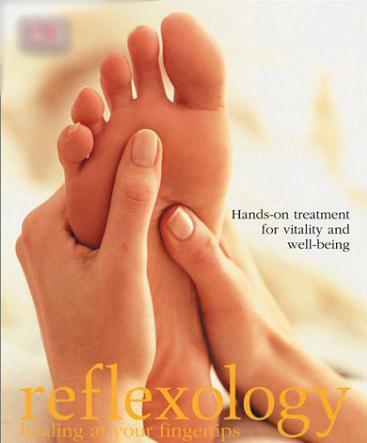 Experience reflexology and enter a world of peace, calm and complete relaxation. Light, calming Swedish movements with energy work techniques used to promote health and relaxation for both Mom and baby. This method of massage is done in a sideline technique with 45 degree elevation to allow proper blood flow to the placenta and heart. This is an extremely beneficial treatment in preparation of delivery during the last five months of pregnancy. A facial for your back with a relaxing scrub and masque. Specially designed to get your back, back to feeling good, this treatment begins with a steam and shea butter salt scrub, followed by a deep cleanse with extractions. Next is a soothing sea mud masque. And that's not all - we've also got your back with a relaxing back rub with a wonderfully hydrating creme. Welcome Back! Enjoy side-by-side massage to unfurl tired stressed out muscles. Our Swedish relaxation techniques banishes stress and muscular tension in a beautiful candle-lit room for two.